Huntington Park Car Accident Attorney- Andrew L. Ellis Andy Ellis is one of the most successful Car Accident lawyers in Los Angeles California. Meet Mr. Ellis and find out how he helps his clients who are injured in auto accidents. http://ellisinjurylaw.com. Huntington Park made news when a young woman drove into a local Carl’s Jr. restaurant, critically injuring a family dining inside. Unfortunately, this isn’t the first time our neck of the woods has been in the headlines for sensational car collisions. Huntington Park car accident tales involve an uninsured driver blowing red lights while fleeing from police, a drunk driving felony hit-and-run of a Vespa driver on Alameda Street, two pedestrian fatalities on Pacific Boulevard, and a shocking repeat rear-ender caught on video at Alameda and Gage. When you’ve been seriously injured in a motor vehicle collision, don’t rely on the other motorist’s insurance to cover the cost of your medical treatment. 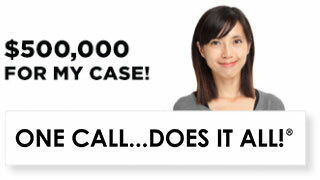 Contact Huntington Park car accident lawyers who will fight for the maximum compensation allowed by law. The United States Centers for Disease Control and Prevention found that the average cost of a car crash emergency room visit is about $3,300. For those who are hospitalized for their injuries, the cost escalates to $57,000 over the patient’s lifetime. Over $42,000 of that amount typically gets paid within 18 months of the collision. California is an “at fault” state, meaning that whoever is deemed responsible for the accident must pay for all injuries with their car accident insurance policy. California requires a minimum of $15,000 per person / $30,000 per accident to cover bodily injuries. Unfortunately, our state also has the 12th-highest percentage of uninsured drivers in the nation, with an estimated 15.2% of motorists driving without coverage. Most of these people are driving uninsured because they feel they cannot afford a policy. If the accident was not deemed your fault, you may have elected for uninsured motorist coverage on your policy, which may help pay for some of your injuries. Who Pays for Car Accident Injuries in California? There are several safety nets you may employ to help pay for your injuries. California law does not require Personal Injury Protection (PIP) coverage, as other states do, but as a policy holder, you may have opted for Med Pay, which covers “reasonable” and “necessary” injury treatment for yourself and your passengers within the first year of a crash. Of course, as you may guess, there are many ways insurers dodge paying out for these claims. You may also be able to tap your health insurance policy to cover some of your personal injury expenses, although you may be subject to high deductibles, co-pays, and insurance rate hikes. What If You Were Partly to Blame for The Motor Vehicle Accident? If your bills are mounting to a price tag you can’t afford out-of-pocket, filing a personal injury lawsuit to recoup the cost of treatment makes practical sense. Even if you bore some degree of fault in the accident, California law allows for comparative negligence, meaning that you may collect a reduced amount of compensation when you are partially at-fault. For instance, if a judge deems the accident worth $100,000 and you were 99% responsible, you can still collect on 1% ($1,000) for your injuries. 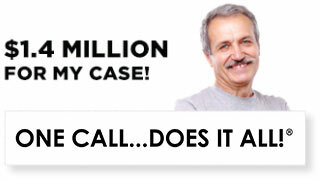 How Can A Car Accident Lawsuit Compensate You? A Huntington Park car accident lawyer can help you recoup money not only for your past medical bills, but for your future medical expenses, lost time off work, and reduced earning capacity as well. Car accident lawsuits often include payment for emotional pain and suffering. In the event of disability, compensation may include home modifications or assistive devices related to the disability. In fatal accidents, a wrongful death lawsuit can provide for burial costs and funeral expenses. While no amount of money can take away your suffering, you can take some measure of comfort in knowing you will receive the best medical attention over the years. Why settle for less than the best car accident attorney Huntington Park has to offer? 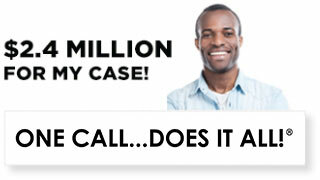 Ellis Injury Law has a proven track record of success, winning 99% of the cases we take on. While we represent a broad swatch of personal injuries, car accidents are one of our “bread-and-butter” categories. We have secured several multi-million-dollar settlements and awards over the past few decades. 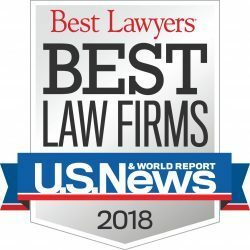 Our lawyers have earned recognition from Super Lawyers, Best Lawyers, US News & World Report, the Multi-Million Dollar Advocates Forum, and the National Trial Lawyers Association. 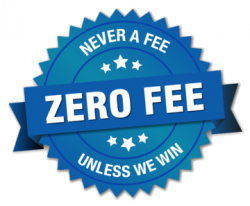 We provide free consultations and contingency-based legal representation with no upfront costs. Contact us to schedule a meeting today.